A not-for-profit, non-governmental organisation, Plant for the Planet Foundation Nigeria, has identified the use of renewable energy and proper management of waste as some of the ways to mitigate the threats of climate change. 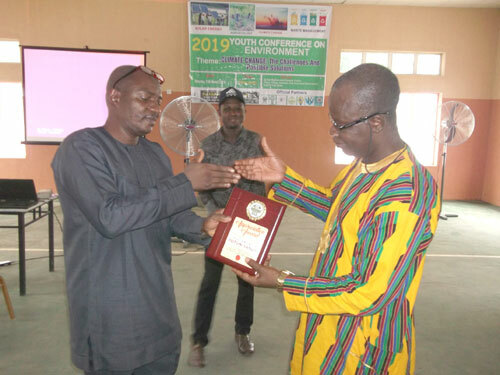 The Coordinator, Prince Seyi Olawuyi, made the submission during the organisation’s Youths Conference on Environment held at Ilaji Hotel and Sports Resorts. The NGO, which describes raising a set of youths christened Climate Justice Ambassadors Club who are conscious of the impact of climate change in Nigeria as one of its core responsibilities, is affiliated with Planet Foundation, Germany. The conference, an annual exercise held under the theme “Climate Change: The Challenges and Possible Solutions,” featured lectures and recognition of individuals whose “conscious activities” have contributed to the achievement of a greener environment. Olawuyi said the focus of this year’s conference was to build the capacities of members of the Climate Justice Ambassadors Club, schools and communities on contemporary environmental issues such as climate change, waste management and renewable energy as well as creation of platform for the interaction of the stakeholders. In a remark, Chief Sanusi, who was also installed as the patron of the Plant for the Planet Academy Nigeria, thanked the organisers for the recognition and promised to continue to contribute to the realis¬¬ation of a greener and safer environment.